Once your self-published book is available for sale on Amazon, there’s a bonus you might not know about: A space has already been reserved for you in the Author Pages! An Author Page is a valuable (and free!) way to connect with and market to your readers and potential buyers in much the same way you can connect with your audience via your website, blog, Facebook author page, and Twitter feed. But the Amazon Author Page brings a huge advantage to your author platform, because people who visit it are likely to be in an “I’m ready to buy” frame of mind. So use your Author Page to close the sale! Surprisingly, some writers don’t even set up an Author Page on Amazon, or they have a bare-bones entry. That’s a mistake. A small investment of time and thought in preparing your Author Page can expand your fan base and increase your book sales. To create an Author Page (if you haven’t already), go to Amazon Author Central and click on the Join Now icon. 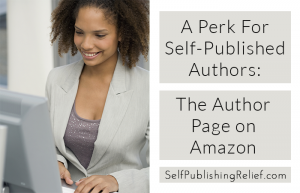 After you enter the basic information and Amazon verifies that you are eligible for an Author Page profile, you’re ready to set up your page. In addition to your bibliography, you can also include biographical information, photos, links to your Twitter account and your blog, videos, a calendar of events, and even a discussion board. All of these features offer you a variety of ways to engage and connect with potential buyers—use them! But don’t just slap together a few quickly penned sentences and call it a day: Make sure your Author Page looks professional. Why? Because an attractive and well-written page will draw people in. On the other hand, if your Author Page is sloppily written, readers will assume your book is also sloppily written. If it’s bland, they’ll think your book must be bland. And if readers notice that you didn’t give much thought to your Author Page, they may wonder how much thought you gave to your book! Write a relatable biography. People like to buy from people they like, so put some personality into your biography. Having a résumé-like entry will just lead potential buyers to yawn and stop reading. Put some of the passion that motivated you to write the book into your bio. Add a Twitter (and blog) feed. The Author Updates section allows you to add a link to your Twitter page. By connecting to Twitter on Amazon, you’ll capture the attention of social media-savvy readers and entice them to follow you on Twitter. You can also add a link to your own blog. Keep your readers posted on upcoming events. Your dedicated readers will want to know about your upcoming personal appearances and other events. In the Scheduled Events section, Amazon allows you to create a calendar. In addition to the event location, topic, date, and time, include a short description that hypes your event and makes the reader want to attend. Check your author page often. You’ve completed your Author Page and it’s error-free, lists all your books, has lots of eye-catching photos, and links to your Twitter account and blog. Maybe you’ve even added a video. All finished, right? Wrong! Check your Author Page often. Add new items to your bio as soon as they happen—like when you receive an award or complete a relevant course. Swap out photos to keep the look fresh. If you have an active discussion board, check it often and answer any questions immediately. Make sure that any new books you’ve written are added to your bibliography, and include photos of the covers. An Author Page on Amazon is easy to set up, can help to increase sales of your self-published books, and is FREE. If you haven’t yet set up your Author Page, do it now. If you have, check it now—and often—to make sure it is current, accurate, and encouraging readers to buy your book. QUESTION: Have you set up your Amazon Author Page? Good self promoting device. It seems a real bonus because other ones charge for the same service. I didn’t know about the Amazon Author Page but am planning to use it. My published book is “A Precious Commodity” being sold on Amazon and it does need more publicity. Thank you for your information. I am very grateful for this concept. My author page was easy to set up. I do need to update and check more often. Thanks for the info. 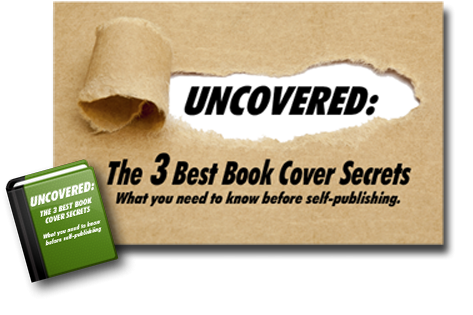 When self-publishing a writer needs all the info they can get to be successful in sales! If an author who is published with Amazon is part of the KDP program and wants to eliminate that, does that affect their author page or them using author central? I might like to stop the KDP program in order to place my book for sale with other sites besides Amazon. Thank you. Hi, Gippy–Great to hear from you again! Go ahead and remove your book from KDP Select. This will not affect your Amazon Author Central page or sales page.